Ombú, Edmonds’ premier organic salon + spa, has a modern, sophisticated approach to image and style. Renew yourself with our natural approach to beauty. Indulge yourself knowing our services and products are good for your body and the environment. 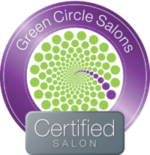 Our organic services feature products made with certified organic ingredients that contain no ammonia, parabens, formaldehyde, plastics, SLS, or thioglycolates. From our signature Éminence facials and hot stone massages, to hair removal using the ancient, all natural art of sugaring, to custom balayage color and the latest in progressive hair design; we at Ombú Salon + Spa strive for excellence in everything we do.